Jesus cultivated and nurtured his intimacy with the Father, rising up a great while before day, he went out, and departed into a solitary place, and there prayed (Mark 1:35). He also had a vision, a mission, and a strategy for ministry. His vision was the Kingdom of God. His mission was to seek and to save the lost (Luke 19:10), and his strategy: Jesus went throughout Galilee, teaching in their synagogues, proclaiming the good news of the kingdom, and healing every disease and sickness among the people (Matthew 4:23). As ministers, the life source for our ministry is our personal and intimate relation with God. We also need an intentional strategy for our ministry and leadership in the church. One of the best resources available to us is a coach. What Is the Value of Coaching to Ministers? As ministers, we are serving in a time when the denominational program structure is diminishing; the culture is undergoing discontinuous change; estimates saying upwards of 85% of congregations are in decline; and there is widespread sentiment among people who want nothing to do with the “institutional church.” Yet, clergy are being held responsible for church growth and financial security. Being in ministry necessitates a radical trust in the call of God and the leadership of the Holy Spirit. It’s not a time to go it alone. In such a dynamic context, a coach serves as a neutral third-party to offer support, encouragement, feedback, and assistance for you to prayerfully think through your approach to ministry, resulting in strategic goals and next steps to make your ministry most effective. This is of value to congregations, clergy, and church leaders to be on the missional cutting edge. For clergy and church leaders, coaching is for your personal and ministerial development, focusing on leadership skills and processes to enhance the missional effectiveness of your ministry. Leadership coaching is an ongoing, intentional and relational conversation regarding you and your ministry. The coach facilitates the process through thought-provoking questions, encouragement, and feedback. You set the agenda to discuss what the growing edges and challenges are for you in ministry. You are respected by the coach as the God-called person in your ministry setting with the spiritual gifts, awareness, and spiritual intuition to move the body of Christ forward on mission. The coach does not pretend to know what is best in your situation. The coach serves as a thought partner, coaxing your potential to become strategic in setting goals, identifying resources and obstacles, and determining next steps to accomplish your mission. Coaching is in the context of prayerful spiritual discernment. get unstuck in your ministry? move from a maintenance mode to a missional mode? implement a style of leadership that people will appreciate? be respected as the person called of God to your ministry situation? have someone with whom you can discuss your ministry situation who would be an objective third party and where all information is kept in professional confidentiality? have someone who genuinely listens to you without judgment or trying to fix you, and lets you set the agenda for what needs to be discussed? have a companion who is on your side for the success of your ministry in the Kingdom of God? have someone who can assist you in being more focused and intentional about your ministry goals and objectives? have someone who helps you think through your ministry so that it is line with your passions and calling? Rev. 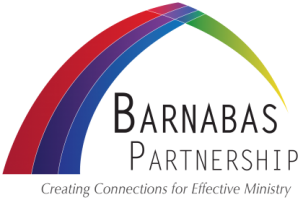 Larry Glover-Wetherington is a partner with the Barnabas Partnership and a Board Certified Coach. If you are interested in a trial period of coaching, please call 919-564-6061. Jesus’ practice of intimate communion with the Father was the life source of his ministry. He said, “Very truly I tell you, the Son can do nothing by himself; he can do only what he sees his Father doing, because whatever the Father does the Son also does” (John 5:19). Later in the metaphor of the Vine and the Branches, he says to us, “I am the vine; you are the branches. If you remain in me and I in you, you will bear much fruit; apart from me you can do nothing” (John 15:5). In the demands of ministry, my own experience and that of many other ministers, it is our communion with Christ that often suffers. As we strive and scramble to meet the ministry needs of others and of the church, who is there to pay attention to ours. An excellent life-giving resource for us is the ministry of spiritual direction. Spiritual direction has been part of the Christian tradition for centuries. Also known as spiritual friendship or spiritual companioning, spiritual direction is a ministry of one person accompanying another along his or her spiritual journey. The Holy Spirit is the true Director. Spiritual direction is the opportunity to reflect on your relationship with God while another is prayerfully in the presence of God on your behalf. The spiritual director assists you along the way by asking reflective questions, pointing out God’s movements in your life, encouraging new directions, perhaps suggesting resources and spiritual exercises that can nurture your intimacy with God, or just prayerfully listening to your spiritual story. Sessions are normally for one hour each month, perhaps more at first as the spiritual director gets on board with your spiritual story. There are parts of anyone’s life where God’s presence is more or less clear. A spiritual director is gifted and skilled at listening with you for those “God moments and movements” present in any life experience so that you might recognize and cultivate it for a deeper relationship with God. Spiritual direction sessions occur in the context of prayer. There is an implicit understanding that God is present in the prayerful engagement between you and the spiritual director. Your conversations with the spiritual director; therefore, are kept strictly confidential. Another option for ministers is group spiritual direction. You can gather colleagues in your area under the facilitation of a spiritual director. In group spiritual direction, all the participants become spiritual directors to one another. A group session is conducted in a manner that honors God’s presence in the meeting and is structured in a format where God’s wisdom is sought before there is any response to others in the group. It also has the advantage where there is not only the shared experience, but also a shared fee, making it much more possible for most ministers. Confidentiality and trust among members in the group is what makes it happen. For a more complete description of the ministry of spiritual direction, click on the following link: http://www.transformyourministry.com/spiritual-direction/. Rev. Larry Glover-Wetherington is a partner with Barnabas Partnership and also has a spiritual direction and coaching ministry under Transform Your Ministry. Larry has a certificate of completion of the two-year spiritual direction program from the Shalem Institute for Spiritual Guidance.